World in Osijek, Osijek and the gymnastics world and an excellent sports event! This is the simplest way to describe the FIG WCC DOBRO World Cup Osijek, which for a decade now has brought the best gymnasts from all over Europe and the world to the official stage of the World Gymnastics Challenge Cup! 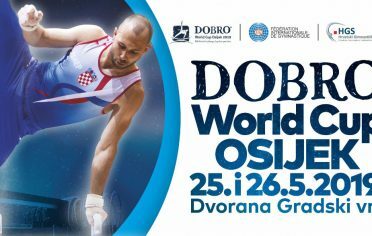 The next, eleventh edition of the DOBRO World Cup will take place from the 22 to 26 May 2019 and will once more gather Olympic, world and European medal winners along with numerous spectators in the Osijek’s Sports Arena Gradski vrt to enjoy once more the amazing performances of the best gymnasts of today. 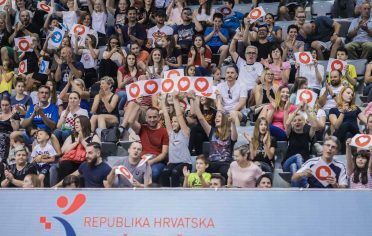 Amongst them, the favourite gymnasts of the home audience still remain the members of the Croatian national team such as Robert Seligman, Tin Srbić, Filip Ude, Anton Kovačević, Ana Đerek and others who will again this year give their best to impress the home audience with their performances! 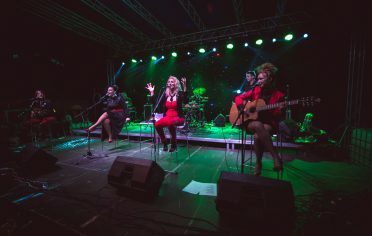 The essential part of the DOBRO World Cup in Osijek this year as well will be the FEELGOOD WEEKEND Gastro&Wine&Music Festival which will take place in the grounds of King Petar Krešimir IV on the 24th and the 25th of May and which will impress the citizens of Osijek including all the guests of the DOBRO World Cup with its tastes, smells and sounds. The gastronomic offer of delicacies, excellent wine, and beer this year will not leave anyone disappointed. The ultimate goal of the event is to make people fall in love with the city and those who already have to remain in love with it. The face of the DOBRO World Cup Osijek 2019 is Robert Seligman from Osijek, the winner of silver medals in the last year’s European Championship and Mediterranean Games. „First of all, I am delighted to be chosen as the face of the competition this year – everything connected to Osijek, the World Cup and gymnastics – that is me with my whole being and I always try to show this in my sport performances. 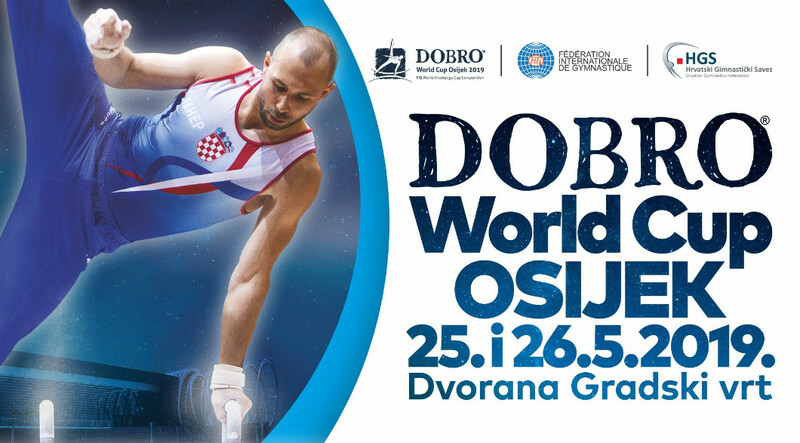 What’s most important this year as well, is that everybody enjoys the DOBRO World Cup as they did last year and that they remember that entire gymnastics week as one mini-vacation in the beautiful city of Osijek. We are also looking forward to the second edition of the FEELGOOD FESTIVAL, from which, as I heard, this year we can expect performances from excellent musicians about which I am very excited. I am sure that this edition of the World Cup will promote the city of Osijek and also promote good vibes throughout the city.“ said Seligman. Sponsors of the event are City of Osijek, Osijek – Baranja County, Žito Group, Hep d.d. and Central State Office for Sport. Its support to the event also gave Croatian National Tourist Board. “Through the program Croatia and Sport we continue in this year as well to connect sport with tourism, support top quality sport’s events and collaborate with athletes who have proven to be one of the best promoters of our country in the world. Osijek will gather European and world gymnastics elite, and I am confident that this competition will contribute to popularization and will ensure a stronger international placement of Slavonia as a tourist destination with a wide tourist offer which is our focus in this year as well.” said Kristjan Staničić, director of the Croatian National Tourist Board. All the information can be found on the official website of the event: www.osijekgym.com, and you can already schedule the end of May for the DOBRO World Cup in Osijek!